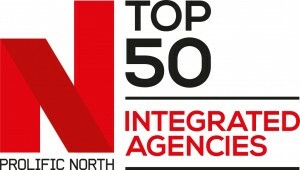 We're delighted to confirm the return of our benchmark initiative, The Prolific North Top 50 Integrated Agencies. Due for publication in November, the 2017 ranking will again represent the definitive ranking of the North's leading integrated agencies, spanning a range of advertising, marketing and creative businesses. We're also pleased to report that, for a fifth year on the trot, Better Placed is sponsoring the initiative. And we've again partnered with Mustard Research to ensure the process of compiling the Top 50 is handled as rigorously as possible. As usual, we will be drawing upon financial data provided by the financial reporting company BVD Fame. Hannah Barnsley, at Mustard, will shortly be emailing over 130 agencies with the information that we have already compiled, before we begin the job of whittling the list down to 50. If any agencies wish to ensure their information is included at the outset, please email Hannah at Hannah.Barnsley@mustard-research.com by October 20th.